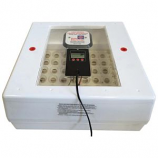 • Safely Turns Eggs To Exercise The Developing Embryo. 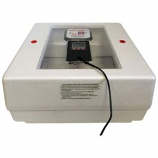 • Large picture window - provides 360 unobstructed view inside incubator. Great for educational observation. 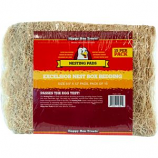 Made of moisture absorbing technology providing cleaner fresher and more hatch-able eggs. Sourced from 100% Great Lakes Aspen shavings and are made in the USA. . . .
• To Be Used With Still Air Incubator# 9200. 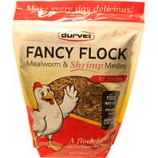 Made with 100% all natural whole-dried mealworms and shrimp. Protein rich. Nutritious and delicious. . .
• Helps Prevent Water From Freezing In Temperatures As Low As 10 Degrees F.
• Designed For Use With Double Wall Founts and Other Metal Containers. • Perfect For Outdoor Use In A Dry, Sheltered Area. Cord Should Be Protected From Animals and Used With A Ground Fault Protected Outlet. • Unit Will Not Draw Electricity Until Temps Drop Below Freezing. Uses Less Than 1 Amp Per Hour. • Made With Recycled and Insulating Polystyrene Foam.